Ubisoft's North American boss Laurent Detoc sees big things in the future for Kinect, saying it will be a "must-have" brand, like the iPad. Speaking at an event in San Francisco that focused solely on Ubisoft's Kinect games, Detoc said that the publisher wanted to be the biggest third-party publisher for the device, and thought that Kinect would lower the barrier for entry into playing videogames, much like Nintendo's DS and Wii before it. Detoc thought that Ubisoft had taken the right approach with Kinect, making dozens of prototypes, but just focusing in on a handful of games to bring to market. He believed that the publisher was in a good position to take the number one spot, because it had recognized Kinect's potential straight away, and had solid technology backing it up. 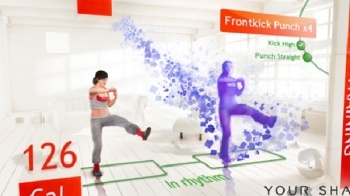 Ubisoft is working on five Kinect titles, three of which will be launch titles. Detoc said that Ubisoft had no worries about supporting Kinect so strongly, saying that consumers would consider it a "cool" device and that "must have" quality, plus the amount of money Microsoft was spending on promotion, would drive Xbox 360 and Kinect sales. He didn't think that the $150 price tag was going to be too much of a problem either, because he felt that Kinect actually represented great value for money. Ubisoft won't have bet the proverbial farm on Kinect, but it sounds like it's sunk enough resources into it that it's going to sting if it's a flop. Still, Microsoft is predicting sales of around 3 million over the holidays, and if it's right, Ubisoft is going to be well positioned to take advantage of a brand new audience for the 360. Kinect launches in North America on November 4th, in Europe on November 10th, and in Australia on November 18th.